Try out this refreshing summer cooler made with apples and gooseberries. 1. Blend the fruits adding water, sugar and mint leaves. 2. Strain and serve chilled. 3. Garnish with mint leaves and a gooseberry. heard about all the benefits of gooseberry juice, but never had it. Sounds delicious. 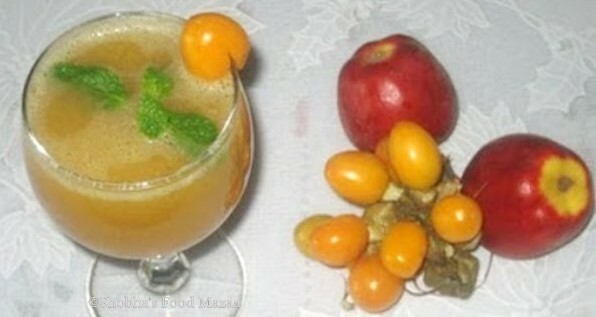 Very refreshing drink with Gooseberries and Apple. Great combination. PS: No this is not spam. Gooseberries.. moi loves. Refreshing juice for the warm summer. Very refreshing and delicious juice..